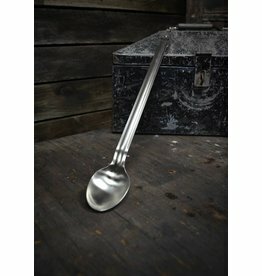 Heavy duty 16 gauge stainless steel commercial grade spoon is 21” long and will last an eternity. Twice the thickness of most imported spoons. The convenient hang hook lets you rest it on the kettle or just about anywhere. Good for mashing. 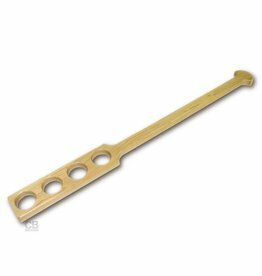 Also good for anything that needs a generally good paddling. 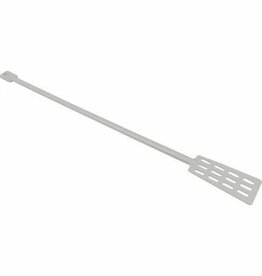 24" length high temperature plastic paddle great for stiring your mash as well as your boiling wort or wine. Made from Michigan hard maple trees, cut within 150 miles of Devereaux Saw Mill located in Ionia County, these 28" mash paddles are left raw and untreated. That means no glue, chemicals, oils, or stains to contaminate your precious brew. 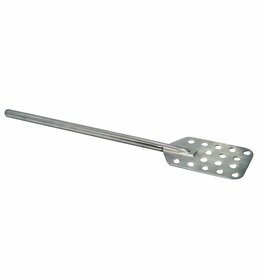 24" length high temperature plastic spoon great for stiring your wort or wine. 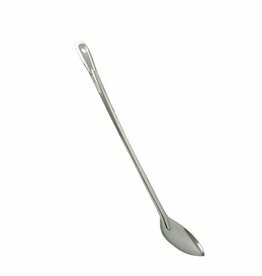 24" length Polar Ware brand stainless steel spoon.